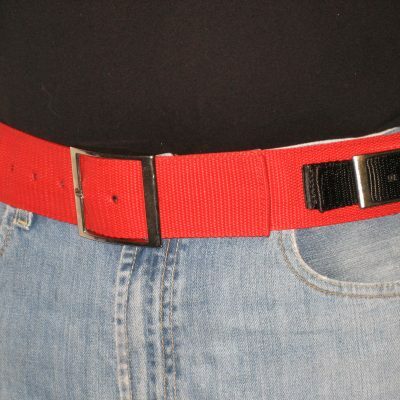 2” red double-ply nylon belt. 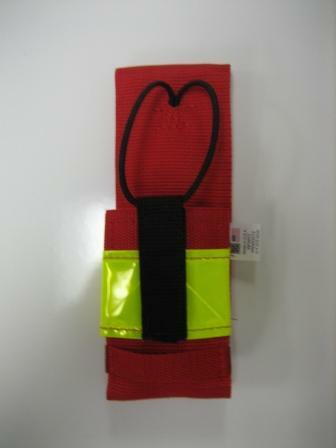 1” black double-ply nylon accessory strap. 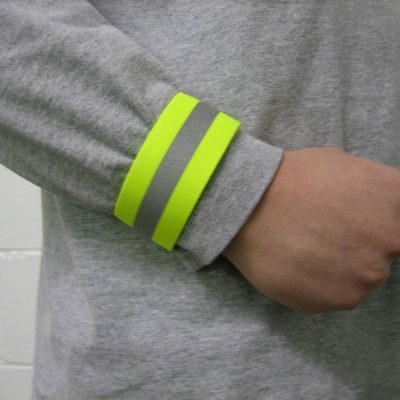 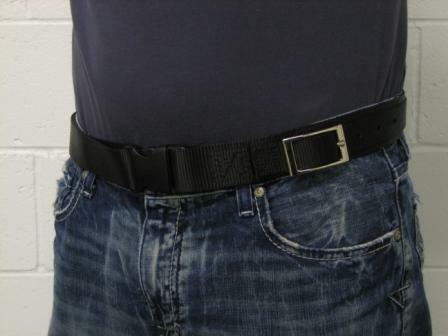 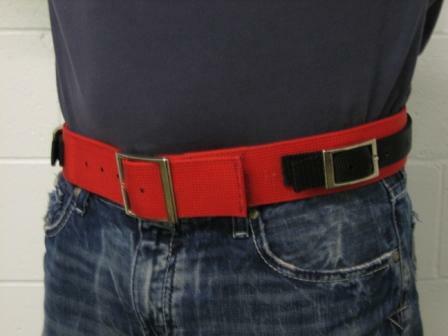 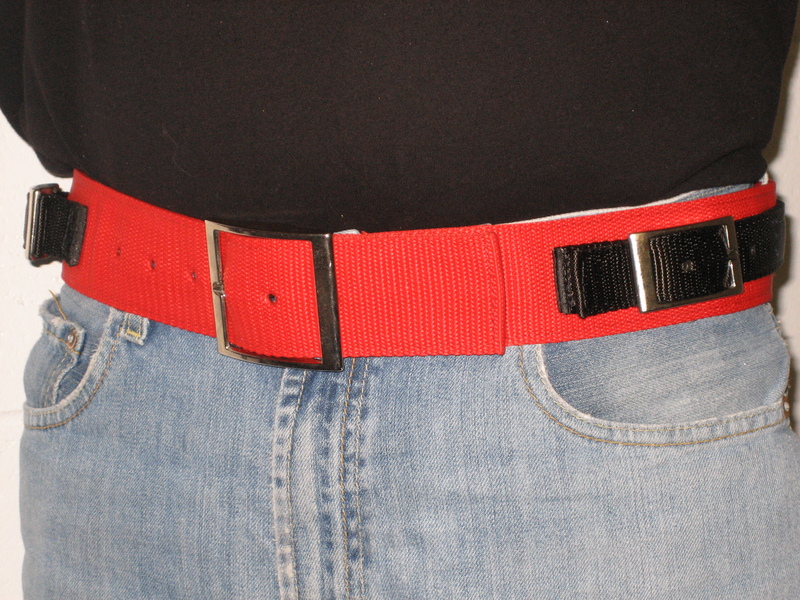 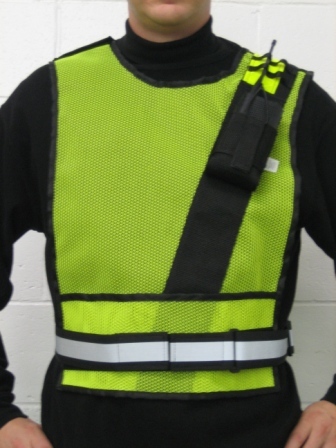 Belt adjusts up to 5”. 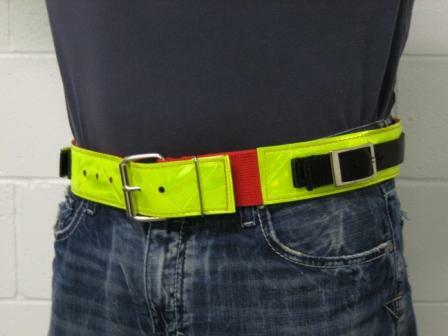 Available sizes range from 32” to 52”.